Situated in Rogoznica, on the Adriatic Coast, Apartments Zvijezda presents self-catering accommodation units with gratis wireless internet, air conditioning and access to a back yard with grill amenities. Private car parking spaces are available on site free of charge. The apartments at the Zvijezda come with a balcony or outdoors terrace with views of the Mediterranean Sea, a fully equipped kitchen and a lcd tv. In addition, they feature a comfy seating area and a toilet with a shower. 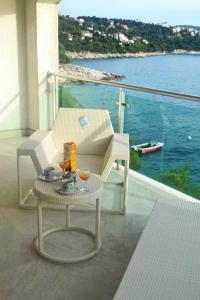 Apartments Rora ~0,1 km, Rogoznica price per day from € 50 Apartments Rora presents self-catering accommodation situated in Rogoznica. The apartment comes with an outdoors terrace with sea views, a seating area, TV, a well-equipped kitchen, a dining area and a private toilet with a shower and a hairdryer. At Apartments Rora, grill amenities area at the guests’ disposal. Split Flight terminal is set 28 km from the property. Razanj ( ~ 3.9 km ): 195+ apartments, 17+ villas, 2+ hotels. Primosten ( ~ 5.5 km ): 126+ accommodation units. Podorljak ( ~ 6.6 km ): . Podgreben ( ~ 7.5 km ): 6+ apartments,. Grebaštica ( ~ 10.6 km ): 225+ apartments, 2+ villas. Zaboric ( ~ 13.4 km ): 118+ accommodation units. Beach Lozica 3, Primosten ~ 0,1 km from Apartments Zvijezda Concrete beach: ideal for families, with caffe bar. Excellent choice of watersports. 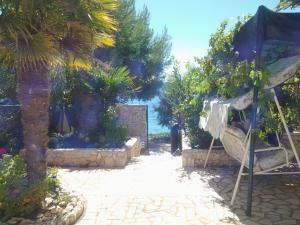 Beach Lozica 2, Rogoznica ~ 0,4 km from Apartments Zvijezda Gravel beach: ideal for families. Beach Lozica 1, Rogoznica ~ 0,6 km from Apartments Zvijezda Gravel beach: ideal for families, recommended for young people, with restaurant, with caffe bar, equipped with showers. Excellent choice of watersports. Beach Miline, Rogoznica ~ 1,1 km from Apartments Zvijezda Gravel beach: ideal for families, with restaurant, with caffe bar, equipped with showers. Excellent choice of watersports. Beach Jaz ~ 1,5 km from Apartments Zvijezda Rocky beach.